Dog training and behavior are two things everyone should know to become their pet's best friend. Dog training is all about ways to make our dog's understand what we are asking of them and positive methods are the best! Dog behavior is the study of how dogs communicate, how their social structure works and everything in between! When you understand your pet's behavior, you become a better trainer. Many dog "problems" are actually natural dog behaviors that we humans do not understand or like. For example, puppies spend most of their time chewing and this can become a problem if the owner tries to stop this behavior, the best way is to redirect it! Dog behavior is different throughout the dog's life, a puppy will do and need different things than an adolescent dog, an adolescent dog will behave differently than an adult canine. That is why learning about the dog's different periods and characteristic behaviors is very helpful and can prevent many problems. It is a group of specific actions or attitudes that makes dogs... well ...dogs! Dogs are closely related to grey wolves, many of your hound's behaviors come from this evolutionary background. However, dogs are dogs, not wolves and many other behaviors differ significantly. How their social structure is organized. How they communicate with each other. How they perceive the world (which is very different from humans!). How they react to different environments (new, threatening, friendly, etc.). How they behave depending on their age of development. How they interact with other species (including humans). 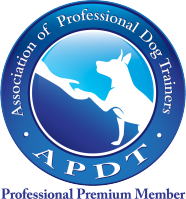 Why is it important to learn about dog training and behavior? It will make you a better trainer. Dog training and behavior are linked to each other. By knowing about both you will be able to notice, before anyone else, when your pooch is stressed or uncomfortable. 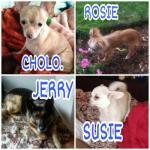 You will also know your dog's preferences and how to use those to teach him new things. It will help you empathize with your canine friend. Most people think that their dogs do "bad things" (like chewing, peeing on the carpet or running away) to get "back at them" or some other ulterior motive. If you learn about dog behavior, you will understand why dogs react the way they do to certain things. Bad behaviors can be predicted and avoided! Dog training and behavior complement each other. It will improve your cohabitation. If you know what your furry friend needs, you will be able to give it to him before problems arise! A happy dog makes a happy owner. Great books to learn about dog training and behavior! This is an excellent book by Dr. Bradshaw that will give you a great understanding about dog behavior from a scientific and evolutionary point of view. A must read! Another excellent book on dog behavior, this book may be a little heavier in science than the previous one but it is full of very interesting information. Highly recommended! Dogs communicate differently than we do. One of the ways in which they "talk" to each other is through body language. 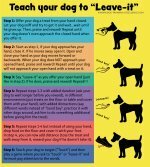 Learning your dog's body language will help you in many ways! Prevent him from getting into trouble! Read subtle but clear signals in his body postures that can predict what he is about to do! Avoid putting him in uncomfortable situations. Dogs show when they are afraid way before they bark or bite, learn to read these signs! Observe your dog and learn what he likes and dislikes. Careful observation of body language will tell you what things your pet really enjoys, which you can then provide as rewards. Learning his aversions and fears will help you make his environment secure. Use some body language yourself and make your furry best friend feel comfortable! Read these articles and learn how to speak dog! What is your dog saying? If you have a picture of your pet talking with his body you can share it here and tell us what he/she is saying! You can also ask questions about your pooch's body language. For a very long time it was thought that to show your dog "who's the boss" you had to act as an alpha wolf. There are many problems with this frame of mind. First, dogs are not quite wolves; second, not even wolves behave that way; third, there is so much more in a dog-human relationship. So, what is an alpha wolf anyway? Alpha wolves were portrayed as aggressive creatures trying to get into power positions through fighting and forcefully taking over resources. This misconception came from studies done in wolves in captivity (like zoos and parks). 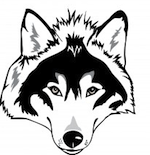 Now scientists have new information from wild wolf packs! Learn the truth and myths in our article "Secrets of an Alpha Dog" and become your dog's gentle and confident leader. Puppies go through a few critical periods when they are very young. This periods will define most of the dog's personality as an adult. If you understand their behavior, you will be able to grow a friendly and confident dog. 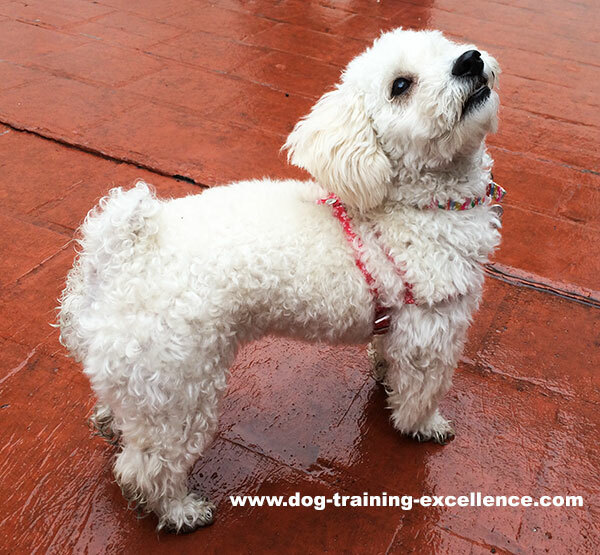 Read and learn about dog training and behavior and leave your comments and questions in the box below.